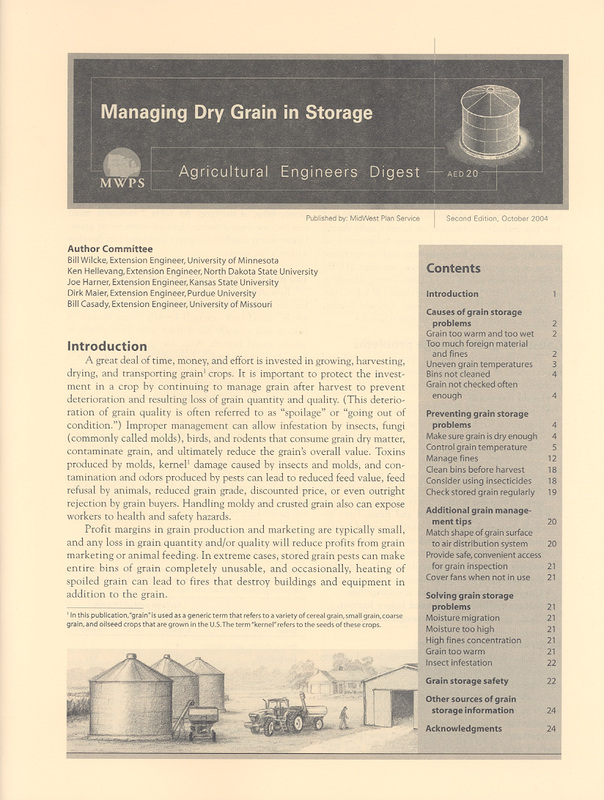 Managing Dry Grain in Storage is a small but mighty publication that provides recommendations for managing stored grain with the least spoilage and the most profit. Grain storage problems are identified along with solutions to prevent them. Grain storage safety is briefly discussed. Detailed illustrations, bulleted lists, weather maps, and data tables further clarify information.